The recovery in personal in personal injury litigation is often closely related to whether legal counsel is able to put forward a case that is unconstrained by financial limitations. If a plaintiff cannot cover disbursements their lawyer’s ability to negotiate a settlement, retain experts or ensure a successful outcome, could be compromised. For example, where a settlement will be paid by an insurance company, the insurer would be more likely to propose a lower offer where they can sense there are limited fund available to their opponent. They may expect that their opponent will agree to a lower settlement because they cannot afford a loss. There are other situations where a lawyer may run the risk of being out of pocket altogether for unpaid disbursements. If a personal injury victim dies before a case is determined, it may be difficult to recoup legal expenses from the estate. By working together we can ensure through this risk management product a reduced cost to the litigation process by insuring disbursements and assist in securing a larger award. After the event insurance provides protection for plaintiffs involved in automobile and non-automobile personal injury claims for the costs of their own disbursements. It also provides coverage for other potential costs a plaintiff might face when bringing a claim, such as being held liable for an opponent’s legal costs and disbursements, having costs awarded against a plaintiff due to a failure to beat a settlement offer and interlocutory costs. The policy provides a $100,000 limit of insurance as standard coverage per case with premiums starting at 1.35% of the amount of the indemnity with higher limits available on request. If the action is unsuccessful, the premium is waived and the policy pays the client’s disbursements in addition to any of the opponent’s legal fees or other disbursements that the plaintiff is liable for up to the policy limit of insurance. We believe that this product helps level the playing field for plaintiffs who have limited financial resources in bringing actions against larger corporations. 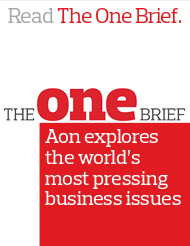 Aon’s specialists’ are experts in a variety of disciplines, including insurance, technology and legal. We perform both client-facing and syndication functions. This allows us to effectively analyze and identify your exposure, design professional liability insurance solutions and assist you with every step of the underwriting and claims process. For more information about Aon errors and omissions insurance, please contact us.